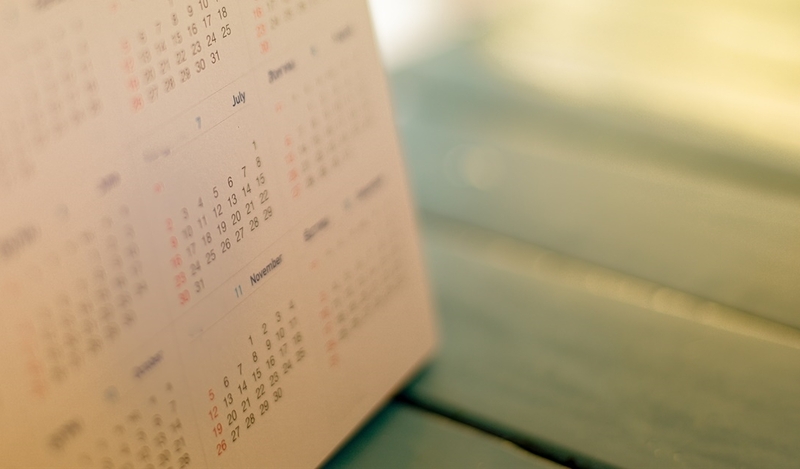 This step by step guide will take you through our online booking system. Will your attendance be paid for immediately by credit card or billed to your institution (organisation)? If you wish to bill to your institution you will require a valid PO. These instructions are intended as a guide, please be aware that the online booking process may vary slightly, depending upon the event you are booking. 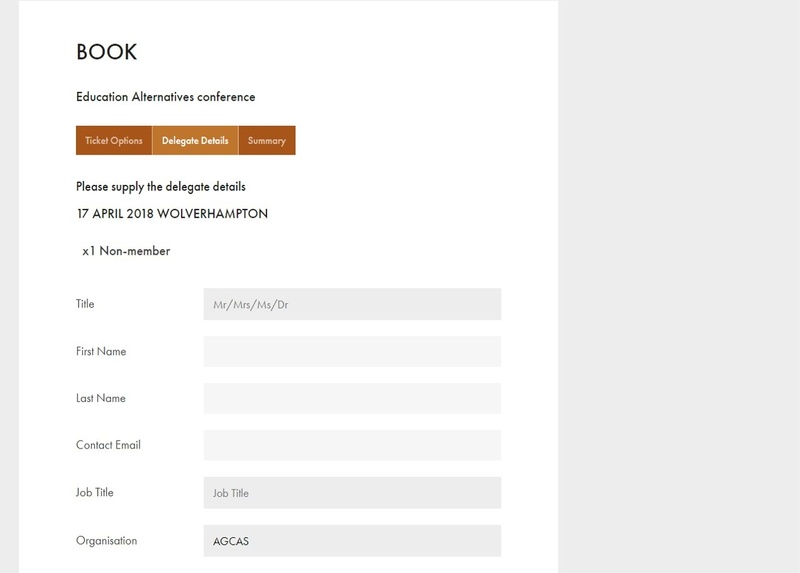 Select the 'Training and conferences' option from either the homepage or the main navigation. 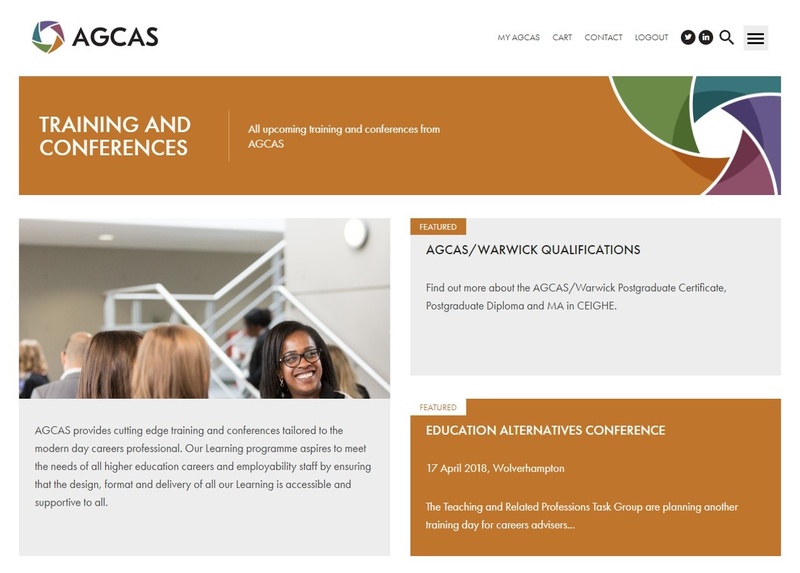 Here you can view all upcoming AGCAS events, training and conferences. Once you have found the event you would like to register for, simply click on it to be taken through to the individual event page. From the event page you can view where and when the event will be held, and other event details. To book a place at the event select 'book now' in the right hand collumn. 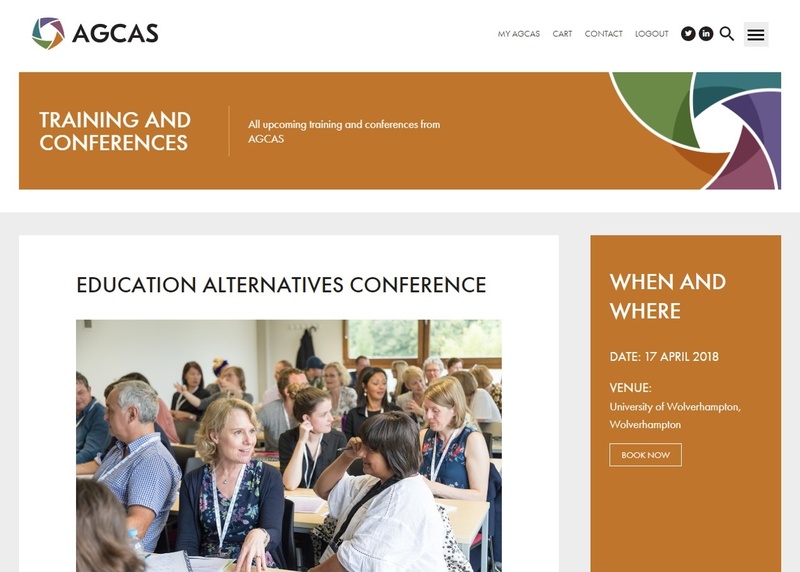 We have used the Education Alternatives Conference as an example. At this point you will be asked to login to the website. If you have previously registered with the website or are already a member, please login. If you aren't a member and haven't previously used the website please fill out the form on the right to continue. At this point you will be redirected to the booking form. 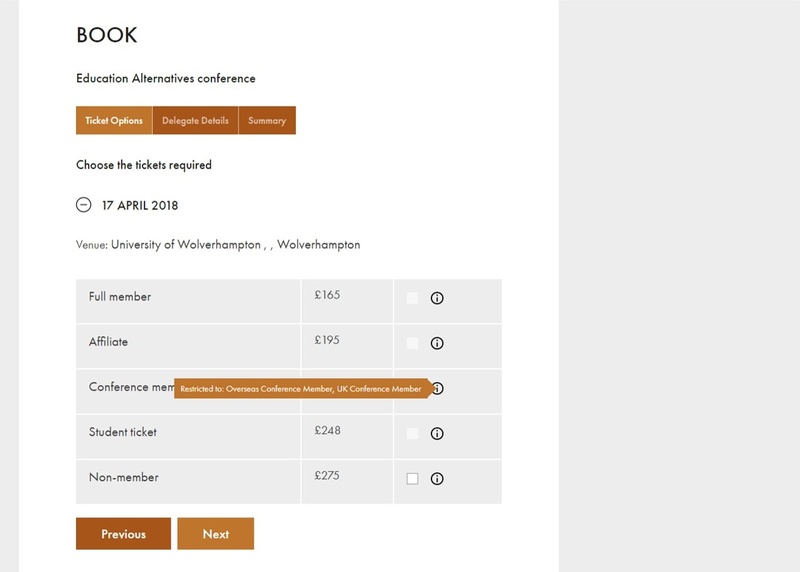 Please select the event ticket appropriate to your AGCAS membership grade by clicking the corresponding box. For further details on ticket restrictions please click the information icon. Some of the event tickets may not be available to you, as they are dependant on membership grade. Once you have selected the appropriate event ticket click 'Next'. Please complete the form. 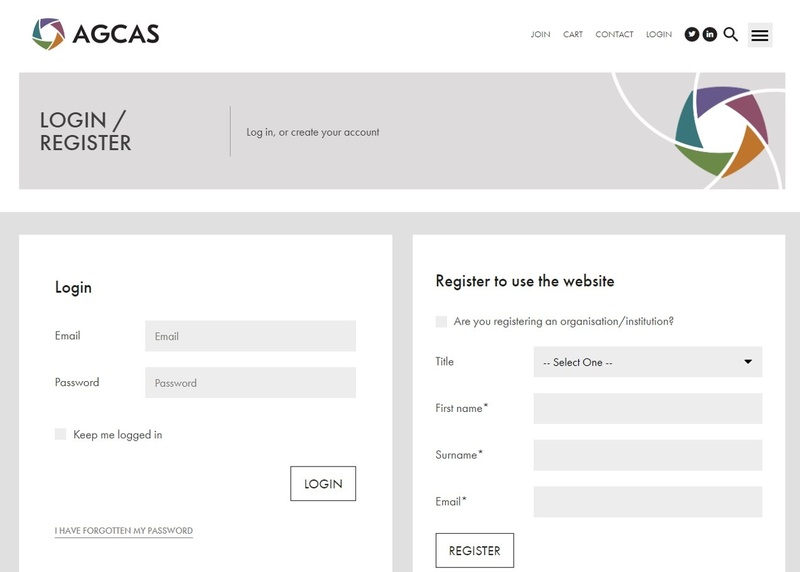 Most of the fields should be pre-populated with the details from your AGCAS account. If you wish to change any of your details please go onto My AGCAS. At this stage please add any additional requirements. For example, regarding diet, mobility or any other requirements you may have. Once you have added your details press 'Next'. 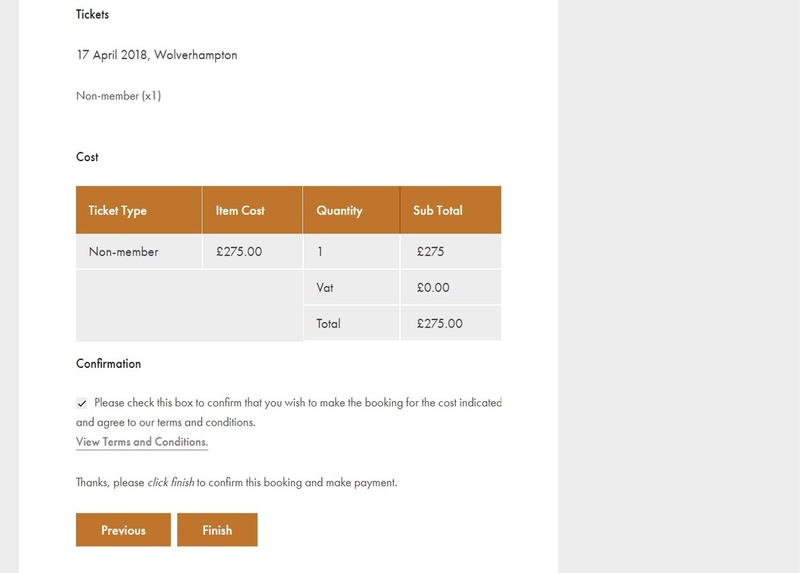 On the confirmation page please check the details of your booking including the cost breakdown. Once you are happy with the information please read and accept the 'terms and conditions'. 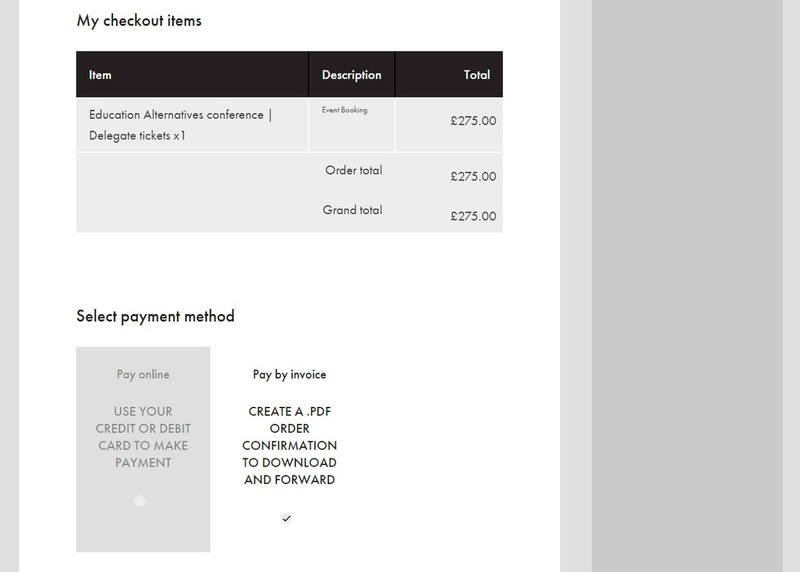 If your organisation is paying for your training/conference please check the 'Bill to Organisation' box. Your billing address will appear in the right hand column. Should this need changing click 'edit/change'. Once you are happy click 'checkout'. 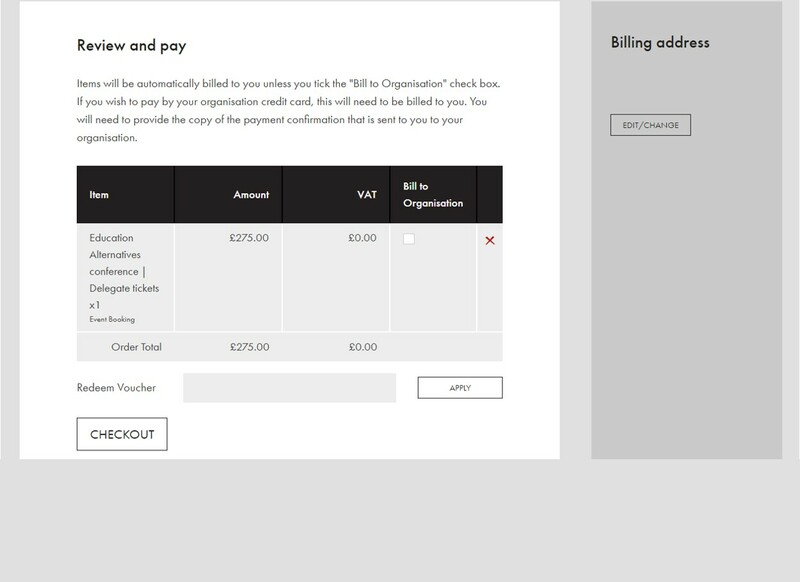 At this stage, unless you have selected the 'Bill to Organisation' option on the previous page, please select to pay by either card or invoice.